It’s always a whole lot more fun to decorate the house for Christmas than it is to take everything down. Getting out each ornament and remembering its history. Finding each decoration’s special spot where it is always placed. Positioning them just so and deciding how much is just enough. I admit that in these latter years I’ve been trimming down my decorations. I no longer feel the necessity to display every single Christmas item in the boxes. It does streamline the process. But there are some that are too special to omit. 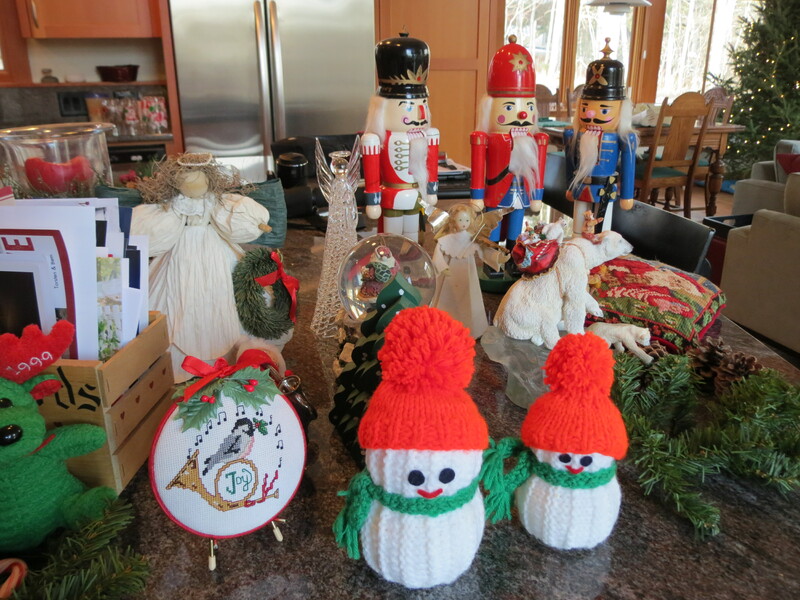 The knitted snowmen, made by a friend dating back to junior high. The corn-husk angel holding a Christmas wreath, another hand made item that was a prize for selling the most wreaths in a fundraiser. The cross-stitch bird and musical horn ornament, one I made for my Mom years ago that recently came back to me. The detailed nutcrackers, given to us by Rich’s parents in the early years of our marriage. At this end of the holiday each item gets carefully wrapped and placed in its box and stacked in containers, the same way every year. The tree, denuded of its decorations, garland and lights, is carried out the door trailing a telltale path of dry pine needles. The house once again resumes its normal appearance, no longer decked out in red and green. We may have stripped the house of its Christmas decor, but the memories still linger. Sitting on the couch extracting trinkets from our Christmas stockings. Gathering around the table for a big family dinner. Eager little ones finding their names on presents under the tree, and always looking for more. Joy and laughter as presents are exchanged. Just being together with family, and talking on the phone with those who call from afar. The Christmas boxes are once again stored away. In Rich’s words, the house has been de-Christmasized. There’s a bit of peace that comes with the transformation. Yet I’m already looking forward to doing it all again. 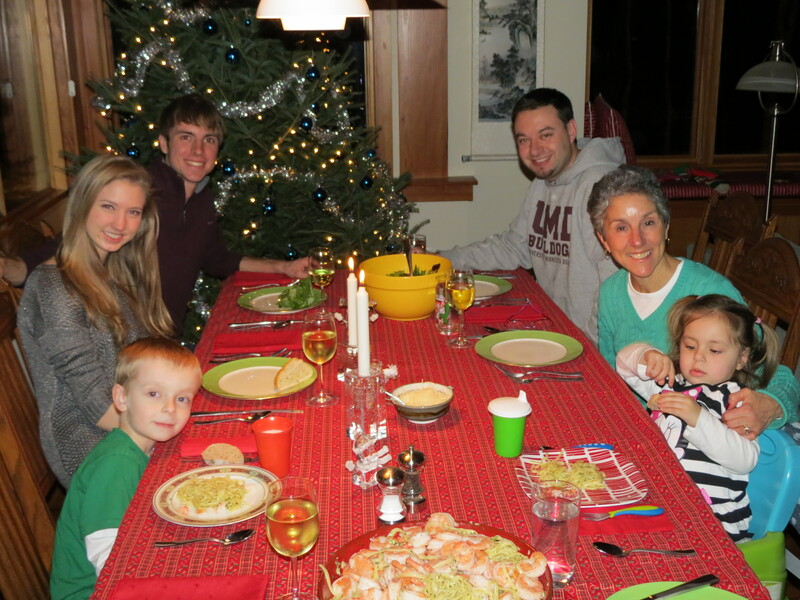 This entry was posted in Family Footprints and tagged Family, Holidays by Molly. Bookmark the permalink.